JOIN US FROM 23RD TO 25TH MARCH FOR A TIME OF DRINKS AND DELICIOUS FOOD! 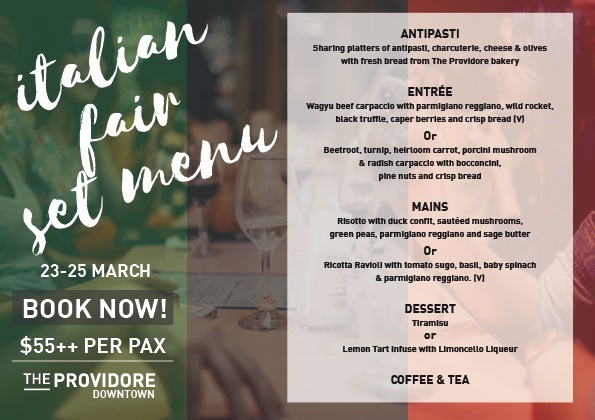 This March, The Providore brings a taste of Italy to their Downtown outlet! Happening from 22-24 March, expect an exciting array of food and fun activities for all ages! With traditional Italian fare such as freshly made pizza, cheese wheel pasta made right before your eyes, and of course, everyone’s favourite gelato! Kids can also join in and enjoy kids cooking classes where they will learn how to make delicious desserts! It’s an occasion not to be missed, so mark your calendars! 1. Join us an after-work evening unwinding over drinks and food, or come and de-stress over the weekend with your family and friends and be spoilt for choice whilst stocking your wine cellar with amazing deals. 2. 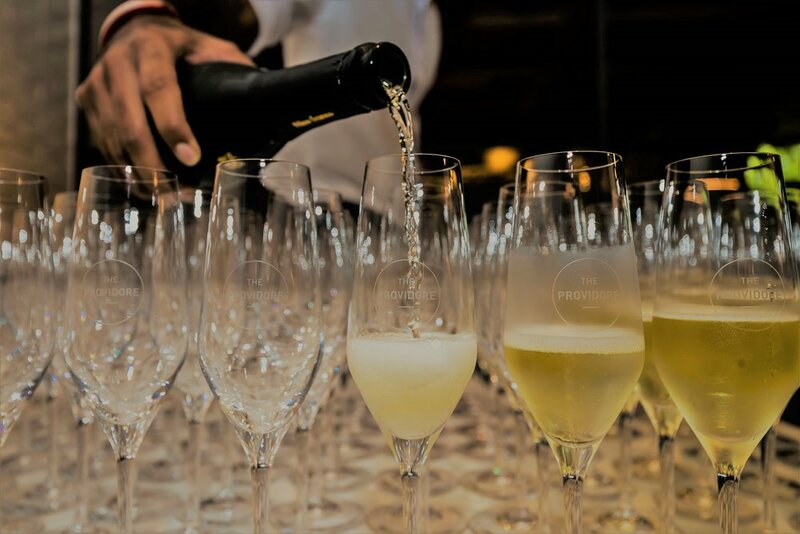 We are pleased to present a wide selection of wines and spirits from all over the world, as well as hot food stations, cooking demos and workshops held by our suppliers over the 3-day fair. Purchase a case of six wines and get 20% off! FREE next day delivery for purchases above $200!